Samuel Max Roush, 88, longtime resident of Morrill, KS, passed away peacefully on Wednesday, December 5, 2018, at the Apostolic Christian Home, Sabetha, KS. Sam will be forever remembered for his love of children, great sense of humor and his hard-work ethic. Sam was born in Morrill, Kansas on February 27, 1930 to Charles and Ruth (Miller) Roush, one of seven children. He attended Morrill High School, graduating in 1948. Sam met his bride to be, Janice Ione Berkley, at the Sycamore Skating Rink. Sam and Janice were married on September 25, 1955, and have enjoyed a wonderful marriage. Sam loved being a farmer and managing his farms, north of Morrill, KS. He had 80 head of cattle, raised hogs, and many crops. He enjoyed the comradery with other farmers in the area in downtown Morrill at the local coffee shop. Sam leaves a Christian legacy of kindness, faithfulness and joy. Sam was preceded in death by his parents, a sister, who died at birth; brothers, Myrl, Marion and Vernon Roush, and Edgar and Garald Roush, who were raised with Sam and were like brothers to him. His beloved wife, Janice, of 63 years, of Sabetha, KS, survives him. He leaves his son, Eldon Roush (Janet), granddaughter, Emma, all of Overland Park, KS; daughter, Jane Sunderland (Robert), grandson, Luke, granddaughter, Anna, and grandson, Isaac all of Sabetha, KS; daughter, Mary Kaye Howard (Scott), granddaughters, Christal, Makayla, Kate and Charli Kaye all of Topeka, KS; and twin sisters, Wanda Bonham of Olathe, KS, and Wilma Lehmann of Nashville, TN. Funeral services will be held at 11:00 a.m. on Friday, December 14, 2018 at the Popkess Funeral Home in Sabetha, KS, with Shane Spangler officiating. The family will greet guests before the service from 9:30 – 11:00 a.m. The graveside services, for immediate family only, will follow the service, at the Morrill Cemetery. The family suggests a memorial, in lieu of flowers, to Kansas Foster and Adoptive Children Scholarship Fund. 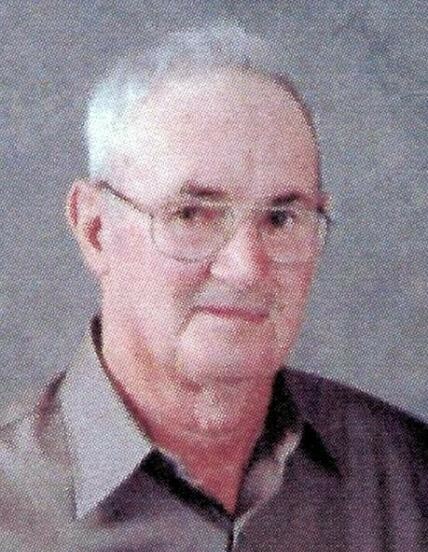 Memorials may be left at the funeral home or mailed to Popkess Funeral Home, 823 Virginia, Sabetha, KS 66534.